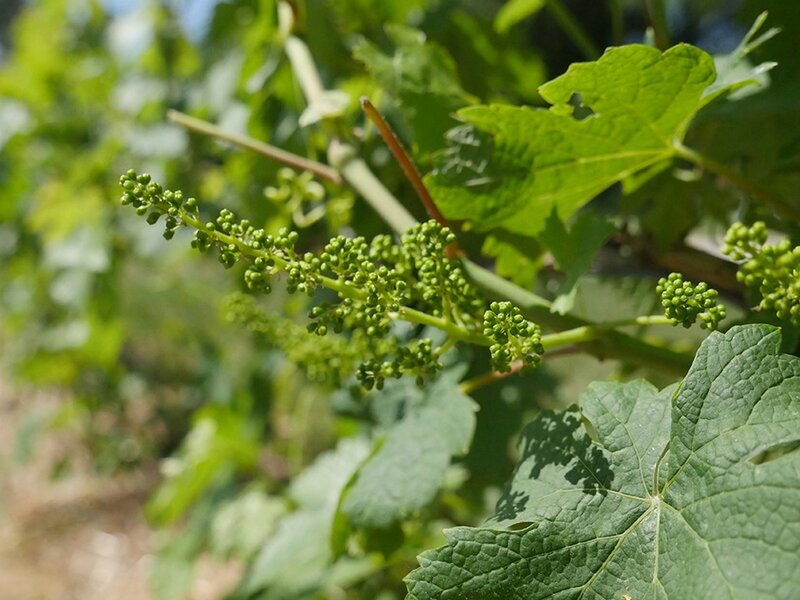 Early grape clusters on the Cabernet Franc vines. June, 2017. Early grape clusters on the Riesling vines. June, 2017. 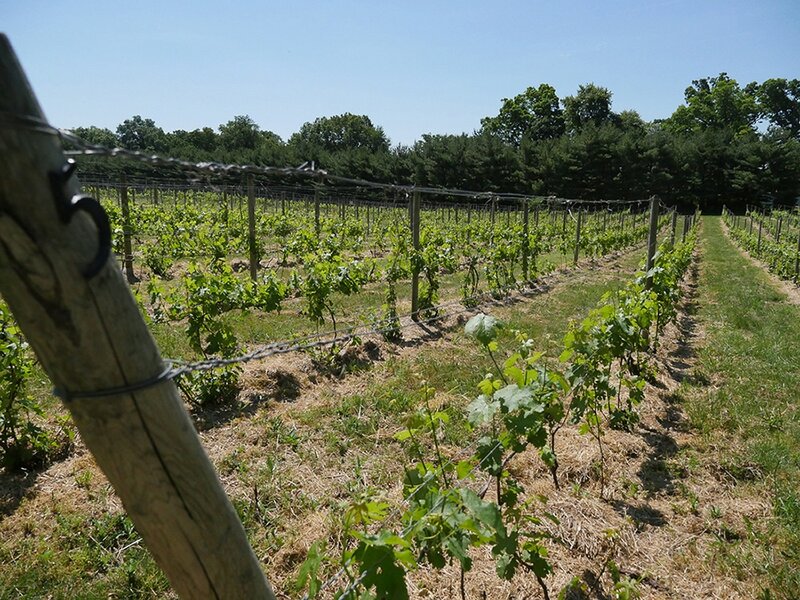 A view of the Brick Road Vineyard. June 2017.